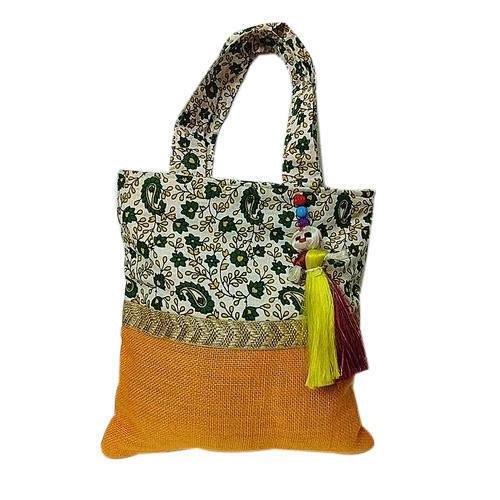 Consistent innovation, coupled with an alert understanding of customer's needs & demands, makes us the most renowned supplier of Designer Jute Cotton Bag. Established in the year 2009, Jyoti Creation is one of the leading Manufacturer, Wholesaler and Exporter of Brocade Shagun Envelopes, Designer Handbag, Frill Thali Cover and much more. These products are manufactured from high quality material that is procured from well-known vendors. The offered products can be customized as per the specification provided by our customers.